As Engineering VP of API, Saul Walker created the popular 500 Series plug-in modular equipment system of portable “lunch box” and rack mounts that has become a pro-audio industry standard. The first module in the series, his 550A Equalizer has, for more than 40 years, continued to be the standard against which all other EQs are measured. 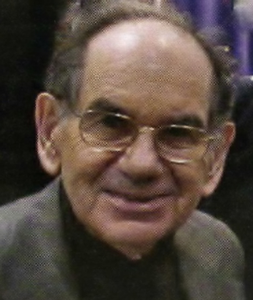 He pioneered the application of op-amp technology in audio system designs. His 2520 all-discrete op-amp continues to be the mainstay of the entire API product line including his 512 Microphone Preamp and 560 Graphic Equalizer. Saul Walker studied military electronics systems at the U.S. Naval Research Laboratory, rocket telemetry at the Applied Physics Laboratory of Johns Hopkins University, and electronic countermeasures at the Research Division of NYU. At the Missile Systems Division of Republic Aviation, he designed the first encapsulated digital modules approved for military aerospace systems. In 1963 he co-founded Digiac Corp., supplying NASA, NSA, and other government agencies with automated systems and training devices. In 1968 he co-founded Automated Processes Inc.(API), one of the leading suppliers of professional audio equipment world-wide.